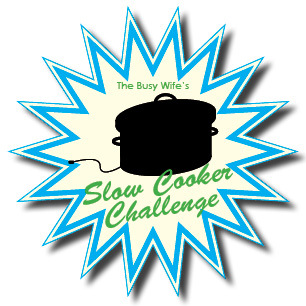 If you’ve missed my previous posts and would like to join in the Slow Cooker Challenge, it’s never too late! Go here to read more. Today’s post is going to have to be short and sweet. I’m too busy to ramble…but maybe that’s a good thing. This week, I made a recipe that I have made once before the challenge and blogged about: Thai Chicken and Vegetables. It’s a Weight Watchers recipe, but it is full of flavor and nothing that would make you think “diet”. You can follow the link to find the recipe. As I said I am busy, busy, busy, I made the recipe Thursday, rather than Wednesday, as I didn’t make it to the grocery store until Wednesday…and I did not make it to Zumba. However, it was perfect for Thursday, as I worked 12 hours and came home to dinner almost completely ready. My second review of the recipe: still love it. It’s becoming one of my favorites. It takes a good bit of time for all the prep work (peeling and chopping the veggies), but it’s worth it (especially, as I said in my original post, there are no Thai restaurants nearby, and while this may not be considered “authentic”, it’s better than nothing). This dish has very specific flavors and everything is all mixed together – so I have no tips for repurposing. At my house, though, we would gladly eat this for lunch two more times to use all 6 servings. What’s in your slow cooker this week? 1) add a teaspoon of coconut oil mix with 1/4 cup of coconut milk and ALL of your red curry paste and cook them in microwave (you can put them in the crock pot pot but cover with a plate or lid) Cook on high 30 second – 1 minute depend on your microwave power, pull it out stir, put it back in for another 30 second or 1 minute, stir and another round, make sure that it does not burn. Then you can pour the rest of coconut milk in there with chicken and continue with your method. 2) Eliminate the scallions and cilantro and use Thai basil or basil leaves if you can’t find Thai basil and add it at the end. Thai basil only need heat from your curry to cook, Italian or other basil need about 2-3 minutes in the crock pot. 3) No lime juice. Thai curry usually season with fish sauce and palm sugar only. I have a loooooong post about Thai curry and curry paste with a lot of links for a few online stores to buy Thai stuffs, if you want to do the curry paste yourself.